Sheila Kelly’s presentation of Treadwell Gold, An Alaska Saga of Riches and Ruin tells the compelling and fascinating story of the Alaska Treadwell Gold Mining Company. The Treadwell Mines and the company town built to sustain them put Southeast Alaska on the map. Soon after the purchase of Alaska (which was ridiculed as “Seward’s Ice Box”) great amounts of gold from this remote settlement in the frozen north brought prosperity and wealth for the area and the country. The Treadwell story embodies the American spirit: frontier adventure, gold fever, corporate interests, invention and ingenuity, and ultimately the greed that destroyed the dream. The author’s father and aunts were born and raised in the town where their father was a machinist for the mines. In her presentation Ms. Kelly brings this story to life for us with outstanding historical photos of the mines and the families in this fontier mining town. 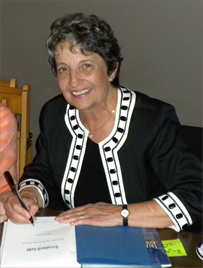 Sheila Kelly is available for presentations and book signings. To schedule an event go to the CONTACT page for information on how to contact the author. The play is based on real people and events. Treadwell Gold takes us to a time when science and engineering were looked to with faith that progress was always an option and engineering could always make our lives better. 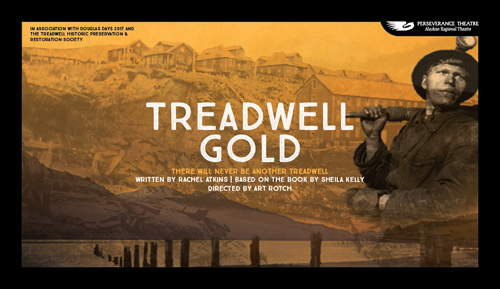 In Juneau, tickets to Treadwell Gold are available at the Perseverance Theatre box office, the JACC, Hearthside Books, by calling 463-TIXS, and at ptalaska.org. 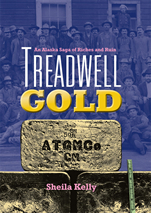 Treadwell Gold is specially priced at $25 with $20 for military and seniors, $20 for subscribers, and $15 for youth. $15 Rush tickets are available 30 minutes before curtain for each performance, space available. Show dates and more information at ptalaska.org. 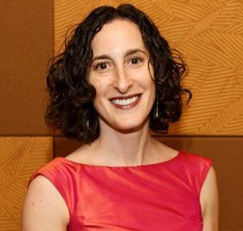 Rachel Atkins is the Scriptwriter and Education Director for Living Voices, the educational theatre company with whom she has 11 different multi-media shows in ongoing national tours. She also works as a master teaching artist for Seattle Repertory Theatre, Book-It Repertory Theatre and Arts Impact. Rachel has adapted numerous productions for Book-It Repertory Theatre and was an Annex Theatre Hothouse playwright. Her plays have also been seenat Seattle Children's Theatre, The Empty Space and 14/48: The World's Quickest Theatre Festival. Previously, she was the Scriptwriter/Dramaturge and Director of Education for Ardeo Theatre Project in St. Julien I'Ars, France. Rachel has nearly 20 years of writing, teaching and directing experience in Seattle, New York and France. She graduated from Dartmouth College and holds her Masters in Educational Theatre from New York University. Rachel was honored to be a 2010 Theatre Puget Sound Gregory Awards nominee for Outstanding Playwright. June 21st 7-8PM Juneau-Douglas Museum Reading at Douglas Library.